Exporter of a wide range of products which include alloy steel adapters and high speed milling spindle. With the help of extensive experience in the field of grinding, capital engaged offers wide range of adapters, that comes with ISO taper shanks. These products are widely appreciated for its features like durability and performance and find wide applications for Milling Machine in various industries. 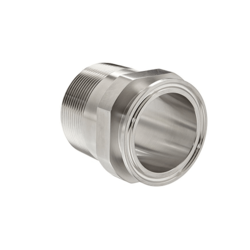 We also manufacture adapters of various standards like ISO, BT, MT, R8, JARNO, HSK series. We are engaged in offering a wide range of High Speed Milling Spindle. These spindles are driven by a tangential belt system and used widely in milling applications. They are available in various sizes with a wide variety of speed and power range. The belt-driven milling spindles with their design flexibility, diversity, and performance are suitable for a wide range of milling applications. Its main purpose is to make the machined surface flat, angular or curved or can be milled to any combination of shapes. The milling spindle helps in rotating the cutter, and feeding it. Milling spindles are available with or without power draw-bar for machine tools. 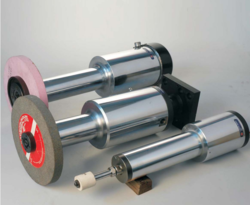 Looking for Special Spindles For Rotating Elements & Machines ?